S2 and Jelly Bean. A match made in heaven? The wait is almost over for anyone eagerly awaiting the Android Jelly Bean update for their beloved Samsung Galaxy S2. We first heard back in August that the Galaxy S2 would be treated to the latest version of Google's mobile OS but it wasn't officially confirmed until last week. 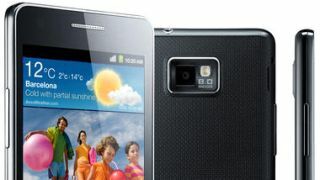 Now a Samsung spokesperson has told Cnet Asia that the Android 4.1 update will begin rolling out in February, although only in Singapore at first. It's now only a matter of time until the update turns up in other countries round the world - if the rollout goes smoothly in Singapore it could start cropping up in other places in the following weeks, if not days. According to previous leaks, the Jelly Bean upgrade won't be available over the air for Galaxy S2 users, forcing you to dig out your USB cable and battle with the desktop software monstrosity which is Samsung Kies. The Samsung Galaxy S2 was an incredibly popular device managing to garner a coveted five star review when we put it through its paces and we're delighted to see that almost two years on it's still going strong with Jelly Bean to boot. It's worth noting though there's no guarantee that your Galaxy S2 will receive the Android 4.1 update, as networks will take a second look at the new software and they have the power to reject it if they are not happy. Fingers crossed.